Dorothy Walker Service Details - BRONX, New York | Granby's Funeral Service, Inc.
Dorothy Walker, seventy-two, entered eternal rest on Wednesday, September 5, 2018 surrounded by her children. Dorothy Walker was born on July 23, 1946 to Ivy Clarke and Hezekiah Clarke in the parish of St. Andrews, on the beautiful island of Jamaica. She was the fifth of eleven children. 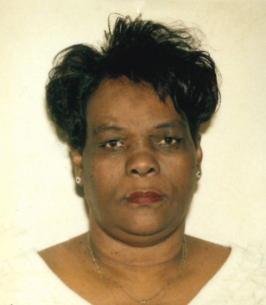 Dorothy Walker attended Lawrence Tavern Primary school where she was the protector of her siblings and often times had to discipline those who dared to bother her family and friends. Dorothy Walker was a fierce business woman and entrepreneur; while in Jamaica, she sold craft and other goods to locals and foreigners. Dorothy migrated to the United States in 1986 with her children and resided with her husband in the Bronx, New York. While in the United States Dorothy worked as a Child Care Provider and Home Health Aide. Dorothy Walker always cared for others. She did so not only by profession, but also in her everyday life. Her home and her heart were always open to everyone (family, friends, and strangers). Dorothy Walker was a mentor and role-model to all; she gave sound advice to those seeking it and sometimes to those who weren’t. She was a good listener, very open-minded, very understanding, and very generous in every way to everyone. She has miraculously touched the lives of so many people in her lifetime. Her heartfelt love is like no other! She had all of the key ingredients of a great leader, mother, grandmother, great grandmother, sister, aunt, cousin, and friend. Dorothy is survived by her 5 children, Angela Walker, Mt. Vernon, NY, Kenneth Walker (Bishara), Bronx, New York, Marie Mallett (Fitzroy), Mt. Vernon, New York, Claudia Walker, Bronx, New York, Claude Walker (Noelle), Ridgewood, New Jersey. Brothers, Osbert Clarke (Pauline), Connecticut, Delroy Clarke, Canada. Sisters, Joan H. Matthie, Jamaica WI, Deloris Anderson, Jamaica West Indies, Hyacinth Clarke Davis, Jamaica West Indies, Mavis Clarke, Jamaica West Indies, sixteen grandchildren, five great grandchildren, and a host of relatives and friends (too many to mention). May she rest in the Lord’s eternal care. To God be the Glory. To send flowers to the family of Dorothy Walker, please visit our Heartfelt Sympathies Store.